In college, I told my friends that I wanted the Jars of Clay cover of “All My Tears” played at my funeral: “When I go don’t cry for me / In my Father’s arms I’ll be.” I disliked the thought of my loved ones saddened at my death, since I knew I would be “in a better place.” For Christians, the phrase is no mere euphemism; our death brings us to Jesus, sin clawing at our heels no more. In my youthful zeal, I thought my funeral should be a joyous celebration. I wasn’t alone. Many funerals today are not about mourning death but a “celebration of life.” As our culture discards all-black attire and other formalities of a traditional funeral, families create more personalized— and often more upbeat— experiences to honor the deceased. 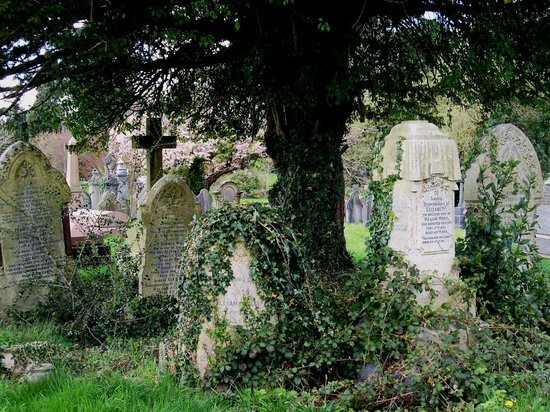 Earlier this year, the BBC reported on the trend of “happy funerals,” noting that Monty Python’s “Always Look on the Bright Side of Life” had become the UK’s most popular song played at memorial services— replacing Verdi’s Requiem. After celebratory memorial services, we are encouraged to “move on,” comforted by memories and knowing that the person we’ve lost is no longer in pain. But this positive focus can afflict and baffle people deep in grief. Christians understand the impulse to celebrate even as we mourn. A life that was well-lived commends Christ to a watching world, and the hope of eternal life proclaimed at a funeral preaches the gospel. But a joyful focus on the Resurrection— and the push to celebrate— can overshadow the truth about death. In assuring ourselves that death has no sting (I Corinthians 15:55), we can deny that the sting of death is still felt. Christians both grieve and rejoice (II Corinthians 6:10); we live in the tension of resurrection hope and sin-cursed death. Jesus, the one who sustains every life, was not immune to the ravages of death. In John 11, Jesus learns that his friend Lazarus has died. He goes to his grieving friends and does what anyone would do: he cries. Jesus knew that while death is not the final word for the deceased believer, it brings a full range of heartache to those left behind. Jesus’ response shows us that the gospel promise does not exempt us from sadness over death. He knew more than anyone that we can’t glory in the Resurrection without grieving over the Crucifixion. In order to know the Good News of Easter, we have to endure Good Friday and Holy Saturday first. We all know the truth, but still we feel the pain. We feel it when we watch our loved ones lose physical and mental capacities. We feel it when we no longer have that warm hand to hold or shoulder to cry on or tiny baby to nurse. Even our bodies ache as we say goodbye. Death is real, it is sad, and Jesus himself felt it. With every death we endure, we experience the inherent tension of sorrow and joy on this side of eternity. 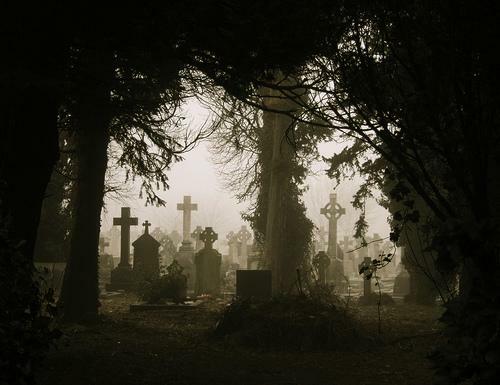 For the non-Christian, the pull to redeem some aspect of death is especially strong. If we celebrate the life of the deceased, throw a party in their honor, or refrain from too much sorrow, then maybe the reality of death won’t sting as much. The unknown state of a loved one’s soul, coupled with fear over death itself, make “celebrations of life” appealing alternatives to the grief of funerals. As Christians, though, the older we get the more we sense the need to hold this tension more fully. As we watch loved ones die, mourn with friends who lose beloved family members, and face the ever-present reality of aging in our own bodies, we know that this life is coming to a swift end day by day. We can grieve over this, while also recognizing the hope of a resurrected body for all of us who cling to the Jesus who perfectly did both. This same Jesus who wept over the reality of death sent blood rushing back through the cold veins of his dead friend— and promises to give us new life too. Death is imminent, but Sunday is coming. John 11:25 — Jesus wept. I Corinthians 15:55-56 — The sting of death is sin, and the power of sin is the law. But thanks be to God! He gives us the victory through our Lord Jesus Christ. Father, you know our hearts and share our sorrows. turn our grief to truer living, our affliction to firmer hope in Jesus Christ our Lord. Amen. whose strength has given up. be near to us and teach us to fix our hope on you, through Jesus Christ our Lord. Amen. Our eyes, Lord, are wasted with grief; you know we are weary with groaning. forgive us and take away our fear, through the dying and rising of Jesus your Son. Amen. Dear family, Lewis has the typhus fever. His body and mind is weak, but he loves to hear of the name of Christ, and listens with deep interest and tender affection to everything that is said about the blessed Savior. My dear friends, you have given a son to Jesus, and if Jesus has work for him to do here, he will preserve him and make him a blessing to the church. But if Jesus has other plans, he will, I doubt not, take him to himself. I beseech you, my friends, prepare for everything which God has in store for you. My prayer is that God support you under this trial. I wish with all my heart that I had some good news to communicate to you. Lewis died at 10:00 this morning, and thus was released from his pain and suffering. This, I know, is not the news you wanted to hear, but there is still good news. Jesus of Nazareth is still Lord of all life, and we can know that our dear Lewis is happy. Ah, my heart, why this aching and trembling? We always pray, and Lewis always prayed, that the will of God may be done. And this must be God’s will, or else he would have spared him; and so why now should we oppose God’s will? No young man was ever more beloved. He has not lived in vain. He has been the means of good to some souls here, and by his influence on the college, has probably been indirectly the means of good to thousands. Think no more of him on a bed of sickness, in a land of strangers. Think of him in heaven. There is where Lewis is now. Only his body has been left behind. We have not lost him. He has only gone on before us. There, in heaven, we shall soon find him and enjoy him again, and forever, and far more than we ever did in this world. Lewis Conger was approaching God. He was meeting his Maker with a freedom and confidence solidly grounded on faith in Christ Jesus, one who had lived and died and rose from the dead. Only in Jesus is it possible to have such a confident hope in death. Psalm 116:15 — Precious in the sight of the Lord is the death of his faithful servants. Luke 23:46 — Jesus called out with a loud voice, “Father, into your hands I commit my spirit.” When he had said this, he breathed his last. Ephesians 3:12 — In Jesus Christ, and through faith in him, we may approach God with freedom and confidence. What does it mean to approach God? When do you approach God? We are, of course, always in the presence of God. God knows all and sees all and is always and everywhere present. But to approach God as it says in the verse, seems to suggest something on our part that brings us into God’s presence in a more specific way. There are at least a couple ways we do that. First of all, we approach God in worship and prayer. Jesus said that where two or three are gathered in his name, he is there with them. When we worship together, we are approaching God, and Paul says we can do that with confidence and freedom because of Christ Jesus. This is one way we approach God. Another time we approach God is when we die. Sometimes we even speak of death in terms of going to meet your Maker. So how does that strike you? Is the thought of meeting your Maker an unpleasant, even terrifying, thought for you? Or, is meeting your Maker something you look forward to with eager anticipation and hope? Paul says we can also approach that time of meeting our Maker, God, with freedom and confidence. In John 14:1-6 Jesus describes to the disciples how it will be when we approach God in death, a time many people approach with fear and dread. But Jesus says, “Do not let your hearts be troubled. Believe in God. Trust in me. In my Father’s house are many rooms… I am going there to prepare a place for you; and I will come back and take you to be with me, so that you also may be where I am.” That is what Jesus came to earth to tell us about, and, he came to die so that our sins could be forgiven so that we could go to that place where Jesus is. But the disciples have a question. It is a reasonable and important question that should also be on our minds. Thomas asked Jesus where he was going and how we can get there. “Lord,” he said, “we do not know where you are going, so how can we know the way?” Jesus answered, “I am the way and the truth and the life. No one comes to the Father except through me.” Paul includes those same directions in Ephesians 3:12. It is in Christ Jesus, and through faith in Him, that we may approach God with freedom and confidence. The 2009 movie My Sister’s Keeper tells the story of a teenage girl who dies of cancer. The story had some other things going on, but on one level, it was the touching story of a loving family facing a terrible tragedy. I am always interested in seeing how movies like that deal with matters of faith and hope in God. This one, like many, said nothing about faith in God. That is how many people face death– without looking to God for anything. What was interesting, however, was the hope and confidence that was expressed even without any mention of God, or any other foundation for such a hope. Family members said several times in the movie that they would all be together again and be happy once more, and how the dying girl would now be with her boyfriend who had previously died of cancer. It is not uncommon today for people to take such blessings for granted, while at the same time rejecting faith in the only solid foundation for such a hope. Where does such confident hope come from if not from one who died and rose from the dead? 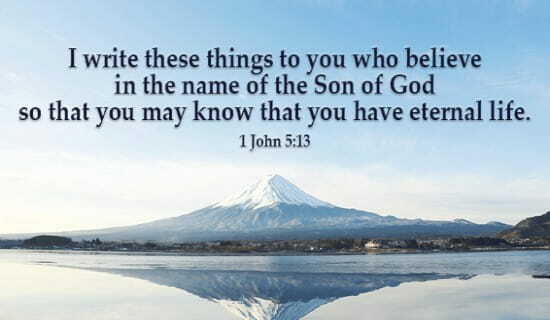 If I did not believe in Jesus and his resurrection from the dead, and in his promise to me that believing in him I too may live again, I do not know where else I would find such hope. All evidence certainly seems to go against any such a confident assertion. It is because I believe that God gave me this life in the first place that I believe God can give me life again, even after this body he has loaned me for a little while gives out and dies. But without any reference to God or Jesus or the Bible in which that is all described, where else would one go for any hope? According to all other evidence, dead is dead, and that is it. Am I missing something? Andrew and Samantha Smith were always an unusual couple. The shy but goofy Butler Bulldog basketball player was 6 feet 11 inches. She was 5 feet 1 inch. But Andrew died on Jan. 12 at age 25 after a two-year battle with cancer that began soon after their marriage. “Andrew peacefully passed away in his sleep and in my arms as I told him I loved him this morning,” wrote his 24-year-old widow. The way the couple faced unusual circumstances with an unusual faith gained thousands of followers in the sports world and beyond. Andrew Smith is one of only three basketball players in Butler University history with more than 100 wins and 1,000 points. He came into his own as a freshman off the bench in a 2010 Final Four run. The next year, “Moose” helped lead the Bulldogs to a second straight title game. The cancer diagnosis came in January 2014, mere months after graduating and settling into Lithuania for European basketball. 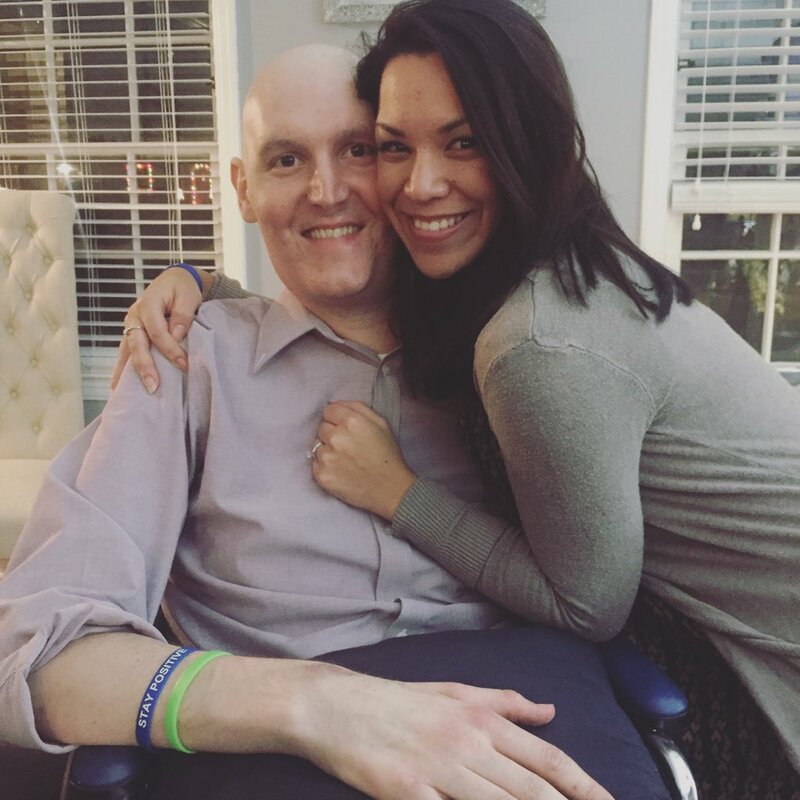 The newly married high-school sweethearts began blogging at Kicking Cancer with the Smiths. 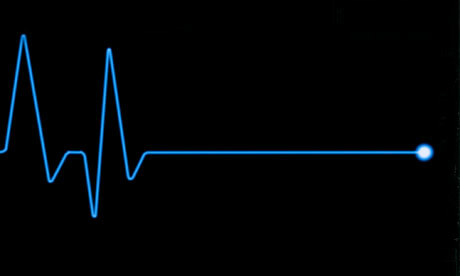 Then came the ups and downs. Tense treatments had some success. In July 2014, Andrew collapsed at work and his heart stopped beating for 22 minutes, yet he suffered no brain damage. In the coming months, the couple rejoiced in healing, home-buying, and a little basketball coaching. But the cancer returned in the spring of 2015. A November bone marrow transplant failed with the news his lymphoma was now aggressive leukemia. He had little time. But Andrew and Samantha said they knew that God had a purpose for Andrew. “I’m not on this earth to play basketball games. I’m on this earth to share a story people can hear,” Andrew told CBS Sports in March. May 16, 2014 — (Not long after the initial diagnosis) Andrew has been praying for years to gain a testimony that can speak to the hearts of many and lead those to the Lord. Did he EVER think it would come in the form of cancer? I think it’s safe to say no. And yet, the Lord has provided exactly what Andrew has spent the entirety of his blessed life praying for. January 10, 2016 (Two days before Andrew’s death): Andrew exudes and shines the Light of Christ. Andrew is the perfect example of what God has called us to do here on earth; to love one another at every opportunity, to glorify Him in all that we say and do, and to preach the Gospel to the masses. But Andrew doesn’t even need words to do that preaching. The way Andrew lives every single day preaches the Word of God. One quote that Andrew and I have prayed over and try to instill in our lives together is “Be careful how you live; you will be the only Bible some people ever read.” Andrew and I strive to make our lives preach loudly instead of our lips and he has done that ever so beautifully. I’m so proud of him and there aren’t words to describe the honor I take in being his wife. Philippians 1:19-20 (Samantha wrote: “Andrew has this verse underlined in his Bible and I know this is his heart and prayer every day.”) — Yes, and I will rejoice, for I know that through your prayers and the help of the Spirit of Jesus Christ this will turn out for my deliverance, as it is my eager expectation and hope that I will not be at all ashamed, but that with full courage now as always Christ will be honored in my body, whether by life or death. Romans 14:8-9 — If we live, we live for the Lord; and if we die, we die for the Lord. So, whether we live or die, we belong to the Lord. For this very reason, Christ died and returned to life so that he might be the Lord of both the dead and the living. II Timothy 4:7-8 — I have fought the good fight, I have finished the race, I have kept the faith. From now on there is reserved for me the crown of righteousness, which the Lord, the righteous judge, will give me on that day, and not only to me but also to all who have longed for his appearing. I Thessalonians 4:13-14 — Brothers and sisters, we do not want you to be uninformed about those who sleep in death, so that you do not grieve like the rest of mankind, who have no hope. For we believe that Jesus died and rose again, and so we believe that God will bring with Jesus those who have fallen asleep in him. As you all know, Cheryl suffered a great deal in these past several months. All that time in the hospital, all the tests, all the reports (usually bad), all the pain and anxiety, all the uncertainty, the surgeries, and everything else she went through. And for you the family; all the trips to the hospital, all the long days and nights; all the signs of improvement and glimmers of hope, and then, all hopes dashed, again and again. And these last three weeks were the worst of all. Cheryl finally got out of the hospital and was finally making such remarkable improvement, looking better than she had in a long time; and then to again fail so rapidly, and die. What a heart-breaker. It doesn’t get much worse than what you are going through right now– enduring so much, and then, still losing Cheryl at such a young age. My job today is to stand up here for a little while and attempt to bring a word of comfort and hope. But even after 32 years of doing this, I still don’t have anymore to offer now than when I started. All I have now is what I had then, something not from myself, but from God– a few words from God’s Word. And what I want to bring you today from God’s Word is some bad news and some good news; and, oddly enough, it is the same message that comes as both bad and good news. The message I want to say this morning is simply to tell you that “God is in control.” That is not a Bible verse. Nowhere is it put exactly like that, but that is indeed the message of the entire Bible. God is in control. However, on a day like today, that message comes first of all as bad news. If God holds all the cards and if God really is in control, well, we might think that he did not do a very good job of it for Cheryl in these last several months. Why put someone through all that, only for it to end like this? Is there really a God who cares about us? We might like the hymn What a Friend We Have in Jesus, but sometimes He doesn’t seem too friendly. Hearing someone on a day like today say that God is in control is certainly going to sound like bad news. Theologically we can talk about the difference between what God causes and what God allows. We can talk about the various ways suffering can serve a good purpose. And we can talk about a lot of other important and Biblical and true things. And if after all that we are still confused and unclear, we are in good company. No less a man than the great Old Testament prophet Jeremiah often complained about his inability to understand God, one time saying, “Why do I keep on suffering? Why are my wounds incurable? Why won’t they heal? Do you intend to disappoint me like a stream that goes dry in the summer?” There is a lot of that sort of talk in the Bible. Even back in Bible times there was much they did not understand. But there is also in the Bible the vision of God’s kingdom and God’s power that extends far beyond the confines of this little world, these frail bodies, and this brief life. It is with this broader understanding that we can begin to see the message that God is in control as the good news that it really is. God IS in control, he does hold all the cards in his hands, and death is not the last card to be played. Death is never the last word from God. The Bible opens our eyes to an entire eternity in which God is able to work out his purposes and make things right, even those things that now seem to be so very wrong. The message God is in control may come to our limited vision as bad news. But when we remember God’s promise of an eternity in which to work out that control, that message comes as the very best news. Cheryl wondered about all this, as you might well imagine. She had a lot of time to think about it, and think about it she did. More than once she asked me, “What purpose do you think God could have in all of this suffering that I am going through?” Cheryl believed in God, and she was asking that question as a believer. She was not shaking her fist and declaring “I can’t believe in a God that would allow this!” Rather, she was asking about the God she believed in. “What purpose does God have for me in all of this?,” she wondered. She didn’t know, and I didn’t know either; but she did not let go of God. She left it as one of faith’s many unanswered questions. They were saying what we could say on a day like today: “We don’t always get it, Jesus, but where else are we going to get a message like the one we get from you?” Jesus has for us a word and a promise that transcends all of our questions, even all of life, and even this whole world. I told Cheryl that I did not know the answers to all her questions, but that we do know the One who knows the answers. He is the only one who can make this all right in the end– if not in this life then in the life to come. Romans 8:18…. 28 — I consider that our present sufferings are not worth comparing with the glory that will be revealed in us… And we know that in all things God works for the good of those who love him, who have been called according to his purpose. O Lord, you have made us very small, and we bring our years to an end like a tale that is told; help us to remember that beyond our brief day is the eternity of your love. I read in the obituary that Anna died at the age of ninety-seven years, one month, and thirteen days. Hearing the length of life figured out to the day like that is a reminder that while our time on earth is usually measured in years, our lives are lived day by day. Psalm 90:12 says, “Teach us to number our days aright, O Lord, and so apply our hearts to wisdom.” Your life is given to you one day at a time, and someday there will be for you also, a final tally. And everyone, even the very oldest, says the same thing. They say “Those days go by fast;” even if, like Anna, they get 35,472 days. In the Old Testament book of Ecclesiastes (chapter 3) it says, “There is a time for everything, and a season for every activity under heaven: a time to be born and a time to die, a time to plant and a time to uproot, a time to kill and a time to heal, a time to tear down and a time to build, a time to weep and a time to laugh, a time to mourn and a time to dance…;” and so on for several more verses. In that same book, two chapters earlier, the old philosopher said: “Whatever has been, will be again, and what has been done, will be done again; there is nothing new under the sun.” That is where the old saying comes from, ‘nothing new under the sun.’ It was being said 3,000 years ago already. Of course, there are a few more gadgets around now then were back then; but in all the big ways, life is pretty much the same. We are born, we struggle to get by and get along, we get old, we get sick, and we die. Like he said, there is a time for everything, and you are all know the routine. Nothing new under the sun. But then right after that section on ‘a time for everything,’ the writer does throw in at least the possibility of something new and different. Ecclesiastes 3:11 says, “God has made everything beautiful in its time, and he has set eternity in the hearts of men.” Eternity. There’s something new. That is something outside of the usual routine. It is certainly outside of anything we’ve ever seen. Everyone dies, no one lasts for much more than a hundred years, and only a few make that. Where does he get this talk about eternity? Well, eternity is in our hearts like the verse says, isn’t it? That wish for something more is indeed within each of us. You feel it in your frustration with the swift passage of time; you feel it in your fear of death; you feel it in your desire to see your loved ones again; and you feel it in your reaching out for and wanting something more than what you can ever get in the confines of the few short years of this life. There is something in us that is not satisfied with even 97 years, which is far more than the average. It wasn’t enough for Anna. Anna wanted to live. She often talked of wanting to get to be 100 years old, and more. Even with the increasing challenges of old age, she didn’t want this adventure to end. That desire is a testimony to the goodness of God’s gift of life. If we, like Anna, have the health to enjoy life, we can’t ever get enough of it. And even if we get really sick, there is something in us that keeps wishing we could get better, and be here just a little longer. The long ago writer of Ecclesiastes felt the same way, and he expressed it like this: “God has put eternity into our hearts.” Our bodies come with a time limit and wear out and die. But in our heart and in our spirit, we wish for far more than our bodies allow us. The Bible not only describes that wish, but it also provides the answer to our heart’s deepest desire. Martha said to Jesus after the death of her brother, “Lord, if you had been here my brother would not have died;” and Jesus said to her, “I am the resurrection and the life, he who believes in me, though he die, yet shall he live again.” Jesus then went over to the tomb of Lazarus and raised him from the dead, bringing him back so that he could live out the rest of his natural days. Not long after that, Jesus himself died and rose from the dead. But Jesus was raised never to die again, promising to also raise from the dead all who died believing in him. Contrary to what it says in Ecclesiastes, that will indeed be something new under the sun. Peter made a wonderful reply, saying, “Lord, to whom shall we go? You have the words of eternal life.” Jesus, and no one else, has the words of eternal life. Where else would you go to receive such a promise, made by one who was able to make good on his words by showing everyone that he could raise the dead? Who else has managed that? There are no other offers on the table. FUNERAL PRAYER: We give back to you, O Lord, those whom you gave to us. You did not lose them when you gave them to us, and we do not lose them by their return to you. Your Son taught us that if we believe in Him, life is eternal, so death is only an horizon and an horizon is only the limit of our sight. Open our eyes to see more clearly and draw us closer to you, so that we may be closer to our loved ones who are with you. You have told us that you are preparing a place for us. Prepare us also for that happy place, so that where you are, we may be also. Through Jesus Christ our Lord. AMEN. Life is uncertain. We begin this new year fully aware that it could be our last. Young wife and mother Kara Tippets knows that it will be her last year. This month could even be her last month. Kara has stage four terminal cancer. After a long hospitalization she went home for Christmas, and to begin hospice care. Kara is the author of The Hardest Peace (David C. Cook Publishers, 2014), and has been blogging about her illness and her faith in Jesus at http://www.mundanefaithfulness.com and at http://www.facebook.com/mundanefaithfulness . The following piece is adapted from her December 29, 2014 entry. I am thinking a lot lately about the living we do. We live by degrees, and now I’m learning how we also die by degrees, and in it all there is beauty… How do we move beyond our comfort and into a realm greater than our understanding? We find a comfort in Jesus, and in knowing His love… It takes courage. It causes heartache at times, but there is always a return. Loving big always grows a spirit in strength, a strength that causes the spirit to continue to try. I listened to my husband make the impossible phone call this morning. He called hospice. He told him that his young wife was dying. They were gentle and gave us a time they would be here to meet with us. That is a call you never expect when you are still getting your footing on living and loving and confidence in faith and who you are. But our hands have been pulled off of our story, and peace enters. Jason walked into the room and said, “I did what I needed to today.” He called Hospice because I am dying. So, there it is. My little body has grown tired of battle, and treatment is no longer helping. But what I see, what I know, what I have, is Jesus. He has still given me breath, and with it I pray I would live well and fade well; living and dying, as I have moments left to live. I get to draw my loved ones close, kiss them and tenderly speak love over their lives. I get to pray about my hopes and fears for them. I get to laugh and cry and wonder about heaven. I do not feel like I have the courage for this journey, but I have Jesus, and He will provide the courage I need. He has given me so much to be grateful for, and that gratitude, and His love, will cover us all. And it will carry us in ways we cannot comprehend. My story is a good story, even when it feels so broken. Will you trust Jesus with us? Love us today by imagining how you can press love deeper into the place you live, extending yourself into the corners of your world in a way that shines with the light of Jesus. Give away what was never yours to keep. Love us by not meeting our story in pity, but pray that Jesus would tenderly meet us as we walk these hard steps together. Will you walk in grace with us to my last breath? Will you trust that Jesus knows the moments, He holds the moments, and He will take me away to the land of no more tears at exactly the right moment; and He will also shepherd and love my family after that last breath. Romans 14:7-9 — For none of us lives for ourselves alone, and none of us dies for ourselves alone. If we live, we live for the Lord; and if we die, we die for the Lord. So, whether we live or die, we belong to the Lord. For this very reason, Christ died and returned to life so that he might be the Lord of both the dead and the living. Dearest Jesus, would you hear the heavy cries of our hearts? Will you accept our feeble attempts at worship through this season? Jesus, would you tenderly keep us and love us well? This is to be a time where we remember the humility it took for you to enter this place. But you did come,… and you overcame death, and in the power of that resurrection and that suffering, you showed us all grace. Yet, we are still dumb sheep, ever forgetting the true meaning of this season. Thank you for growing your beauty into my children. In their eyes I see many things: fear, worry, and uncertainty; but I always see love. Love has a way of rising to the surface if you let it. Lastly Jesus, would you let me go home for a bit to be wrapped in the love of my people? Death is never on time. It always comes either too soon or not soon enough. We have all been shocked and saddened by the sudden death of someone who dies too young. There is a tragic accident or a fatal heart attack, and loved ones are left dealing with life’s toughest blow. Death often comes at the wrong time by coming too soon. Then there are those other times, like for Ethel. Her body was worn out, she could not get better and she could not die, and the last weeks of her life were filled with pain and misery. For Ethel, death did not come soon enough, and waiting for death’s arrival can be the longest wait of all. Death never comes on time. My grandmother suffered through many years of declining health. First there was a sudden heart attack, and we all prayed that she would live, and she did. Then there were other problems, and more prayers, and she kept living. But then the problems started to multiply. Her mind began to fail her, and her body became so weak she was bed-ridden. Somewhere along the line, our prayers began to change from asking God to let her live, to asking God to let her die. After many months, death finally came. But it wasn’t the right time. A little sooner would have been a lot better. Death never comes at the right time. We must remember that our perspective is limited. Exactly how and why God acts in all of this is a mystery to us, and it is best for us to leave these things in his hands. One of the funeral prayers in our hymnal begins with these words: “Oh God, the generations rise and pass away before you…” I thought of that prayer when I read Ethel’s obituary and was reminded that all her siblings preceded her in death. She was the last one left of her generation. The ‘generations pass away,’ and with them, the memory of previous generations. Ethel was proud of her Pennsylvania Dutch ancestry, and she was proud of the way of life she learned from that heritage. She treasured simple living, being close to the earth and close to God. She believed in the old virtues of hard work, independence, honesty, doing your share, serving your neighbor, and loving your family. Virtues like that can be passed on from generation to generation, but in time, the memory of the previous generations disappears. There are many people, long dead, who lived on only in Ethel’s memory; and now she too is gone. “O God, the generations rise and pass away before you…” Time goes on, another generation passes away, and soon, the dead are completely forgotten. So it will be for all of us. Another summer is speeding by us, another whole year is half gone already. The years keep speeding by until we are out of years, and then one’s life is only a memory, and then, in a few years, not even that anymore. Deuteronomy 32:7a — Remember the days of old; consider the generations long past. Psalm 90:1 — Lord, you have been our dwelling place throughout all generations. Psalm 100:5 — For the Lord is good and his love endures forever; his faithfulness continues through all generations. Ecclesiastes 1:4, 11 — Generations come and generations go, but the earth remains forever… No one remembers the former generations, and even those yet to come will not be remembered by those who follow them. O God, the generations rise and pass away before you. You are the strength of those who labor; you are the rest of the blessed dead. We remember all who have lived in faith, all who have peacefully died, and especially those most dear to us who rest in you. Give us in time our portion with those who have trusted in you and have striven to do your holy will. To your name we ascribe all honor and glory, now and forever. Amen. —Lutheran Book of Worship, 1978, page 210.